1. Set either a monthly or quarterly goal. 2. The goal is based on what is commensurate with 25% or less payroll percentage. Example: Let's say your payroll is normally around $20,000.00. Collections must be over 80K per month for there to be any kind of bonus. 3. If the goal is exceeded, a bonus is given. How much you bonus and how the bonus is split among the staff will vary from office to office. 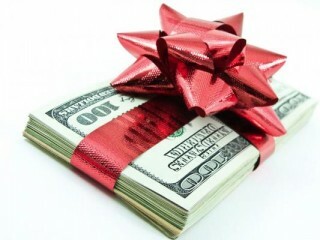 It can be an arbitrary amount of $200.00 - $400.00 or be specifically calculated on how much "bonus sum" is available i.e. the difference between 25% and the actual payroll percentage. 1. Run the bonus as a pilot for three months before setting it in stone. This allows time to ensure it is fair and equitable for owner and staff. 2. The timing of when you pay out bonuses should be a strategic choice: Monthly gives more of an "instant gratification" that can help increase production quicker while quarterly will help prevent "sandbagging". 3. Profit sharing is another option to consider as it helps staff to know they are part of a team with a vested interest however, there is not the "now" impact on employees that a bonus creates. 4. Many practices bonus hygiene separately from the rest of the staff. The predetermined payroll percent can be modified up or down so it is workable for your practice. I like to have hygienist on separate production based bonuses. In that case the payroll percent for the rest of staff would be more like 17%. This system rewards teamwork and efficiency.